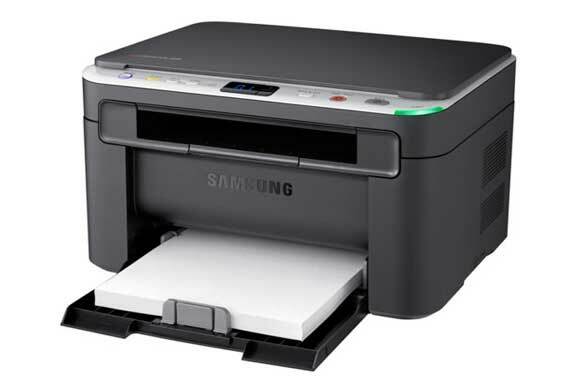 Samsung India has launched the world's smallest laser printer, the SCX 3201, for the Indian market. The SCX 3201 printer is priced at Rs. 8,999 and comes with warranty of one year. Weighing 7.4kg, the SCX 3201 dimensions are 38.8 cm x 29.9 cm x 23.4 cm and allows you to print, scan and copy all in one device. The buffer memory of the device is 32MB. There is a toner saver mode that helps to reduce cost by using less toner. The device can print at up to 1200 dpi and has a monthly duty cycle of 5,000 pages. The 'Eco Print' button on the printer allows for double side printing while the 'Print Screen' button instantly prints on what's on in your computer monitor. The SCX 3201 also comes with AnyWeb print software that lets you to drag and drop content from different sources and consolidate into one page. The startup package involves a full starter toner. The one year warranty of the printer can be extended to two years by paying an extra sum of Rs. 499.